by Minna on May 11, 2016 in Teachings. What is the inner teacher, and how can it be trusted? 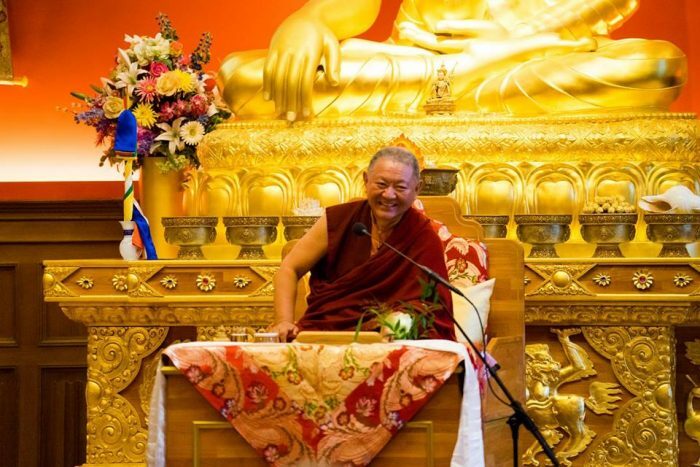 This audio was extracted from a question and answer session on the teaching Aspiration for the Mahamudra, given by Ringu Tulku Rinpoche at Bodhicharya France in Lusse, 2016. What Is the Relevance of Meditation in the Modern World? by Minna on May 9, 2016 in Teachings. 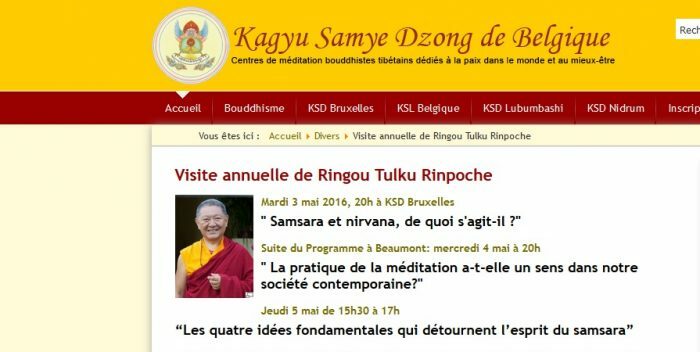 The teaching on The Relevance of Meditation in the Modern World was given by Ringu Tulku Rinpoche at Kagyu Samye Ling de Belgique in Beaumont, Belgium. There are two versions of the recordings available, one with French translation and the other without translation. The photo is from Rinpoche’s teaching at Bodhicharya Belgium in Brussels, with courtesy of Carine Delande. by Minna on May 7, 2016 in Teachings. A teaching on the topic Samsara and Nirvana – What Is It All About? given by Ringu Tulku Rinpoche at Kagye Samye Dzong, Brussels. There are two versions of the recording available, one with French translation and the other without translation. by Minna on May 5, 2016 in Teachings. 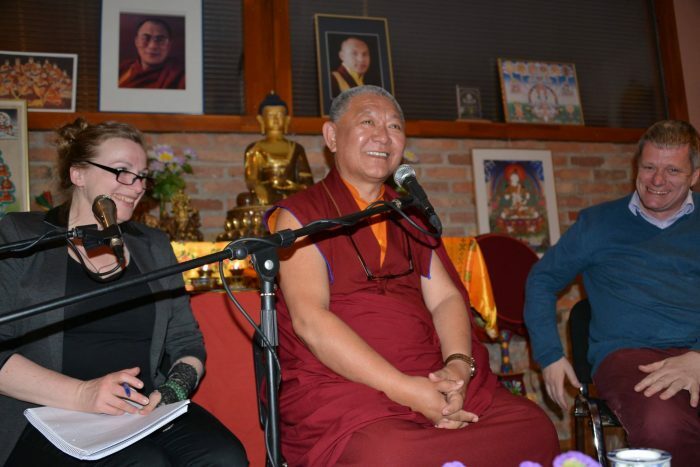 Rinpoche’s talk in an interfaith dialogue on the topic “Exile” with Ahmed Hany Mahfoud, facilitated by Bodhicharya Belgium. by Minna on May 2, 2016 in Teachings. Our emotions arise from how we think, and our actions follow from that. To deal with emotions, first look at your thoughts. 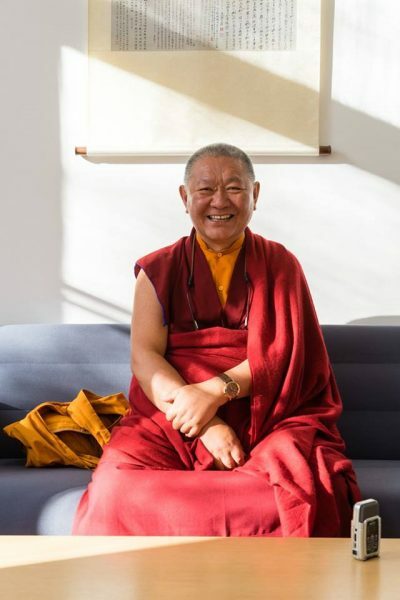 This audio recording is excerpted from a teaching Dealing with Emotions given by Ringu Tulku Rinpoche at KCL in Heidelberg. by Minna on April 30, 2016 in Teachings. 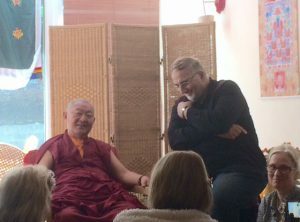 The teaching on Dealing with Emotions was given by Rinpoche at Karma Chang Chub Chöphel Ling in Heidelberg, Germany. by Minna on April 29, 2016 in Teachings. 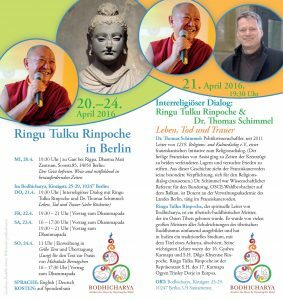 Life, Death and Grief was an interreligious dialogue with Ringu Tulku Rinpoche and Dr. Thomas Schimmel at Bodhicharya Berlin. 1. What can death teach us for this life? 2. What skilful means has Buddhism to offer for the dying and for those left behind? 3. What is the meaning of life? How should we live our life? by Minna on April 28, 2016 in Teachings. Listen to Ringu Tulku’s answer to a question concerning the violence and hatred in the world today, and if it is possible for us to change the world for the better. An excerpt from a teaching on the Six Paramitas given by Rinpoche in Paris. by Minna on April 26, 2016 in Teachings. 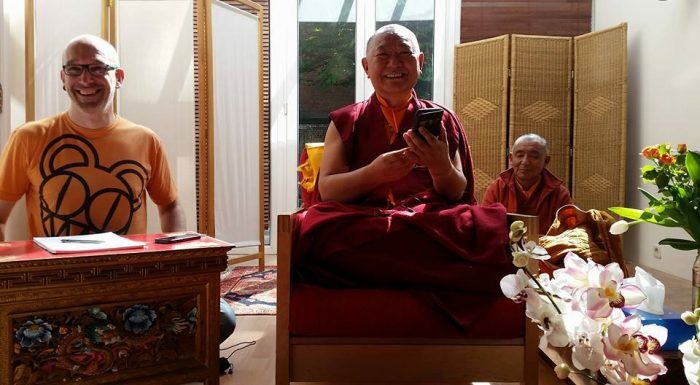 This teaching, Freeing the Mind with Wisdom and Compassion in Challenging Times, was given by Rinpoche at Dharma Mati Zentrum (Rigpa Berlin). Photos courtesy of Rigpa Berlin. by Minna on April 25, 2016 in Teachings. 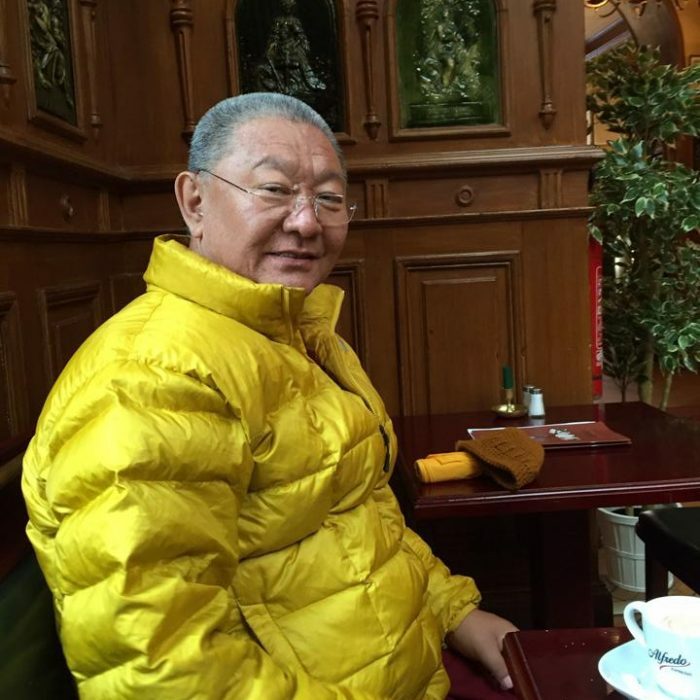 Rinpoche gave this teaching on the Six Paramitas in Kagyu Dzong Paris.